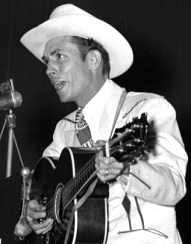 Hank Williams scores the first major hit in his storied career as Lovesick Blues tops the folk music charts for most of the summer. Ironically for someone who would be revered as one of the greatest songwriters of all-time this wasn’t a song Williams had anything to do with writing. Composed in 1922 for a stage show musical entitled Oh! Ernest the song was received slightly better than the show and elicited a number of recordings of it throughout the 1920’s but by the end of the decade any interest in it seemed to dry up. When it was revived in 1939 by country artist Rex Griffin who re-arranged it by switching the verse with the chorus the song was effectively reborn, but it took another decade for it to become an unlikely hit when Williams, still struggling to make a name for himself, sang it live on The Louisiana Hayride in August 1948. The audience went wild for his rendition and Hank pushed hard to get it recorded over the objections of everybody involved who viewed it as a somewhat worthless song. His persistence won out and in the studio he made two more key changes – using authentic country musicians rather than the jazz professionals MGM Records usually enlisted which gave it a distinctive honky-tonk feel replete with mandolin, steel guitar and fiddle, and then adding a yodel which had appeared in the 1926 recorded version by Emmett Miller that he’d liked. With that the record took off, reigning for four months at the top of the charts. 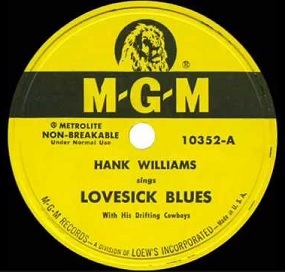 Both Billboard and Cash Box would name Lovesick Blues as the top country/hillbilly song of 1949 and it led to Williams being invited on The Grand Ol’ Opry and becoming a household name and eventually being regarded as the greatest country music artist ever. Now that summer is here and you’re off from school, what are you going to do with yourself? Your Pop is after you to mow the lawn, Moms is telling you to clean your room and your younger brother and sister want you to take them to the beach. But you have 16 years of avoiding responsibility to fall back on and so you slip out the back door and lay in the hammock to waste the day away reading comic books. This month Famous Funnies celebrates its fifteenth anniversary. Often referred to as the first true comic book it was launched in 1934 selling for a dime and 15 years later the price hasn’t gone up at all, making it quite the bargain in an age of inflation. When it began it had initially been conceived as a free comic to be given away in stores as an incentive to come in and contained advertising to offset the cost. When one of the salesmen had the idea to sell them instead he experimented by taking the free comics to newsstands with a ten cent sticker on them to see if people would buy them. They quickly sold out with people wanting even more. Eastern Color Printing Company bought into the idea and in July 1934 published a 64 page full color comic book for a dime, selling 90% of the copies produced, yet they lost over four thousand dollars due to high costs of reprinting previously published comics from newspapers at $10 a page. For the second issue they hired writers to churn out original material instead at $5 a page and did better. By the seventh issue they were turning a profit and by the end of their first year were selling a million copies a month and bringing in $30,000 per issue. The comic book format promptly took off after that and competitors sprang up everywhere but sales didn’t slack off for any of them. 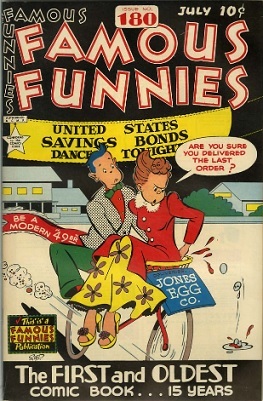 Famous Funnies own run ended in July 1955 after 218 issues. By then the teenage layabouts who wiled away their time reading these had grown up and were now wasting their time in the office reading a pile of comic books which numbered in the hundreds while instructing their secretaries to “Hold all my calls”. By then this excuse for slackerdom had prompted a Senate Investigation by their Subcommittee On Juvenile Delinquency and led publishers to create the Comics Magazine Association of America (CCMA) who in turn instituted a Comics Code Authority to censor their own publications to avoid further scrutiny over their content. Focusing on adult readers is Radio & Television News magazine, which celebrates its thirtieth anniversary this month. 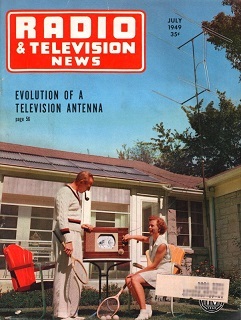 The magazine had begun as simply Radio News way back in 1919 when THAT technology was in its infancy and in August 1948 it added “Television” to its title. A year later with TV viewership rapidly expanding the magazine reaches a circulation of 181,000 a month. The content ranged from articles outlining the impact of television and a multi-part series dedicated to bringing amateurs up to speed on the new phenomenon, while also appealing to more experienced electronic buffs with their detailed advice about building your own TV tower! Selling for just 35 cents an issue this was deemed a reasonable investment by those who’d just dropped a few hundred dollars on a large box that sat on your living room rug which showed moving pictures on a tiny screen. Crosley televisions announce the testing of a Visimeter in the Cincinnati market in the first Pay Per View scheme… err… plan to be made available to the public. The meter is attached to the television sets which are bought for ten percent down and its owners receive an hour’s worth of viewing for every twenty-five cents deposited. The money remains in the meter until it’s collected by Crosley periodically (or until Junior figures out how to break in and take the money to buy candy and records) and will be applied to the TV’s remaining purchase price. The meters presumably will be removed once you’ve paid the set off in full. Based on a similar experiment earlier in the decade for refrigerators (did you have to pay to get food out??? ), the Avco Manufacturing Corporation which runs Crosley will choose “100 families of good reputation” to see if this hair-brained idea will work. It will… in a roundabout way, decades later cable and later satellite television takes over the airwaves using the same basic principles and you once again have to pay to watch something not worth watching to begin with. Scarne On Cards, the card playing bible written by the world’s foremost expert, John Scarne, sells for $3.95 in hardcover. The colorful life of John Scarne really got its start when he was in 8th grade and became fascinated with card cheats and their methods. Dropping out of school and practicing ten hours a day he became perhaps the greatest manipulator of cards in the world before he’d even reached adulthood. 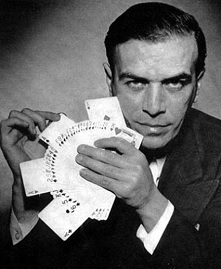 At nineteen he was hired – for $200 a night in 1922 – by legendary gambler/gangster Arnold Rothstein to perform a feat that would make all gamblers drool with envy – cut high card. Each night surrounded by a den of thieves watching with rapt interest over his shoulder Scarne would cut ace after ace after ace to their utter amazement. The decks were new, unmarked and untampered with, yet Scarne never failed to produce an ace for seven straight nights. With that his legend was secure. But rather than cheat others with his formidable skills Scarne set out to teach the rank amateurs who were continually robbed blind by card sharps how to spot their methods, how to play the percentages and how to beat them. During World War Two he was hired by the War Department to write for the U.S. Army magazine that was distributed to soldiers in order to make them aware of how they were being swindled in friendly barracks card games to the tune of tens of millions of dollars a month. When Scarne On Cards came out it quickly became the authority on playing and winning at games of chance, written far more entertainingly than the best selling “Hoyle’s Official Guide To Card Games” and with much deeper insight as to strategy and how to avoid being cheated. It remains the single most indispensable book for anybody who ever picked up a deck of playing cards. Gasoline prices jump to 27 cents a gallon, an increase of one penny over the past year. 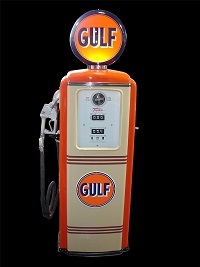 But fear not, the price per gallon will remain the same until 1954 when it goes up another two cents on average. When taking into account inflation however 1949’s outrageous prices are in fact the highest people will pay for gas until 1981. Is the heat getting you down? 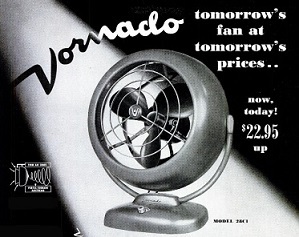 Well then you’re in luck… provided you want to stay inside and let the state of the art Vornado Electric Fan cool you off that is! For just $22.95 – electricity sold separately – you can have the stagnant humid air that’s surrounding you circulated to keep you comfortable as long as you don’t mind remaining in the same spot while enduring the constant humming the fan causes.